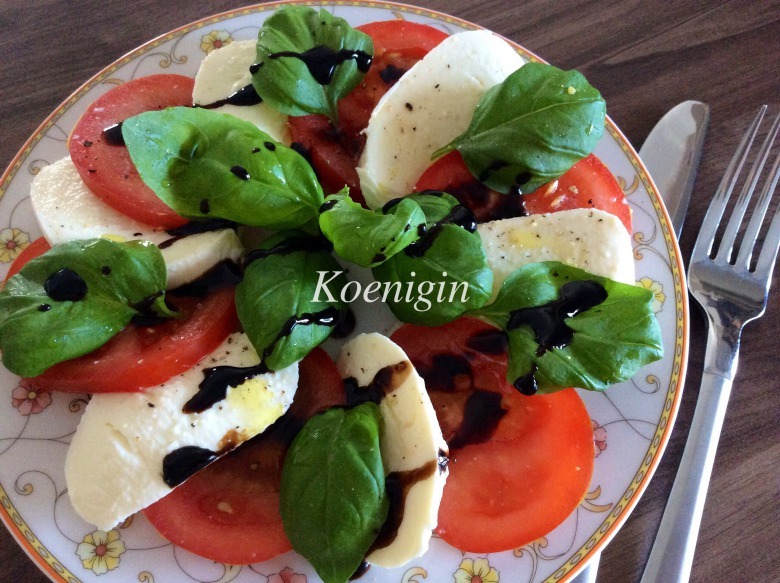 Classical Italian salad The name comes from the Italian island of Capri, and color gamma repeats the colors of the Italian flag. Here such a visiting card in Italy and nothing more to add, except that it is very tasty! Slice mozzarella and tomato, spread on the plate. Sprinkle with salt and pepper (a little). Ideally this should be a special salt for this salad, but with sea salt and freshly ground pepper also not bad. 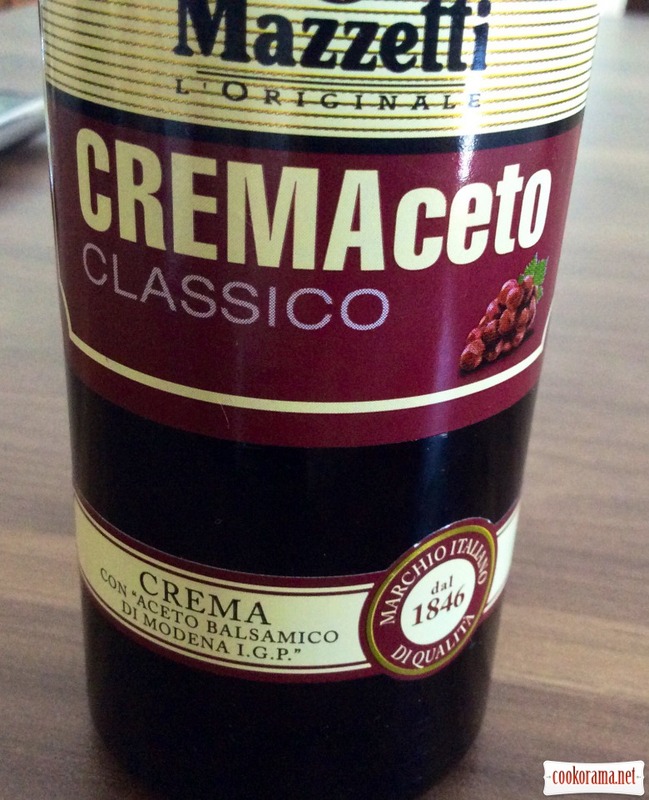 Drizzle with olive oil and balsamic sauce Crema (it is thick like cream and has a very pleasant taste and aroma). This one is just wonderful, I recommend (though not very cheap, but for a long time enough). That`s all, salad is reduy! With fresh white bread, mmmm, yummy, join and enjoy Italy! 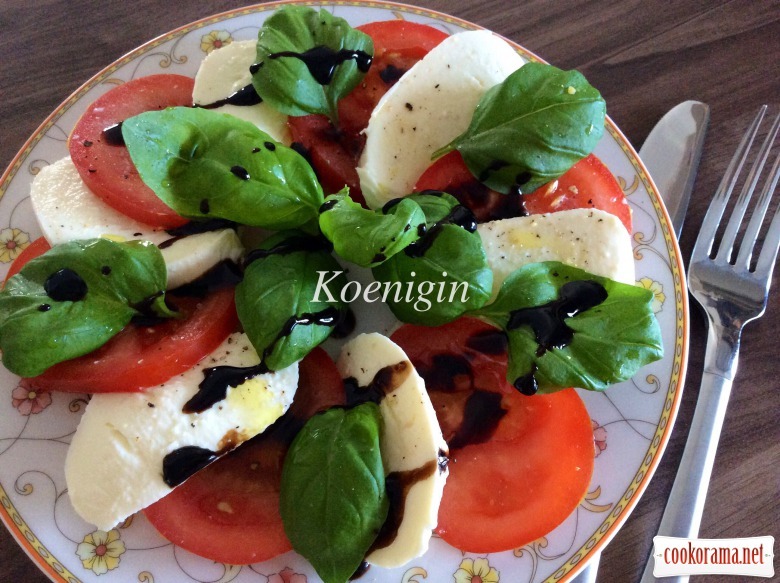 Top of recipe "Caprese salad"
Один з моїх улюблених салатів смакота!!! Дякую, Лесю! Це правда і не тільки салати. Ті самі складові, але запечені з тістом — ось вам і чудова піцца Маргарита, зі спагетті — спагетті Наполетано. Хитрюги! Так, вони такі. Хитрющі. Ніяких олів'є не нарізають тазіками і про борщ з 30 компонентів навіть чути ніхто не хоче, щоб спробувати зварити .